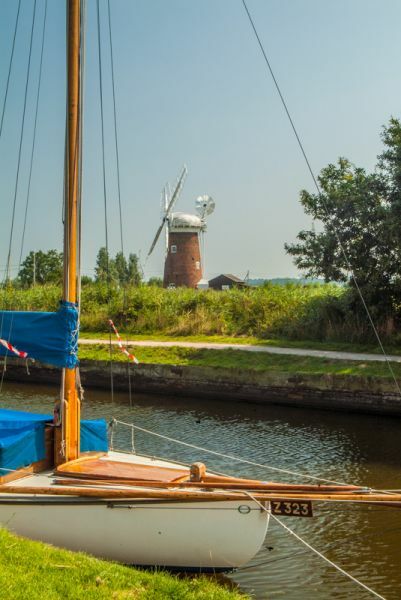 A beautifully restored five-storey windpump, on the edge of the Norfolk Broads. 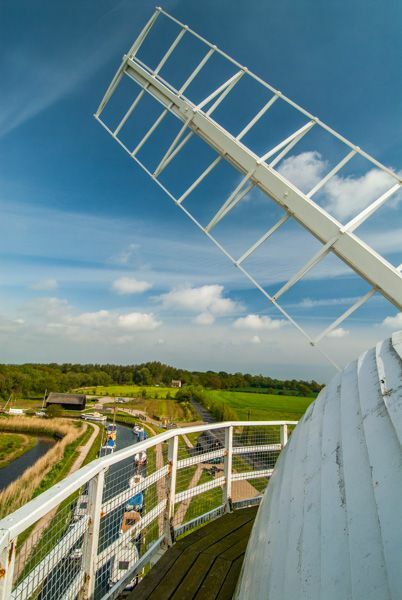 There is a display detailing the history of the windpump and its restoration. 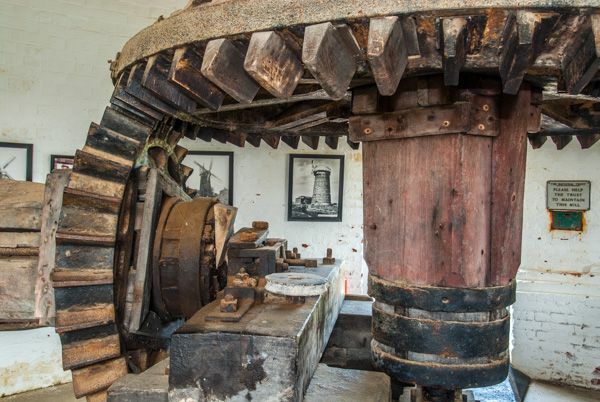 Visitors can view the inner workings of the pump, and see the huge gears up close, and also climb to the top of the windpump, for superb views. There is a small National Trust shop on site, and footpaths give access to Horsey Mere. A longer footpath leads from the parking area at Horsey Windpump across fields to the beach, where a colony of grey seals can usually be found along the shore (ask for directions and a map at the shop). I found I could get quite close to the seals without alarming them, which was a real treat! 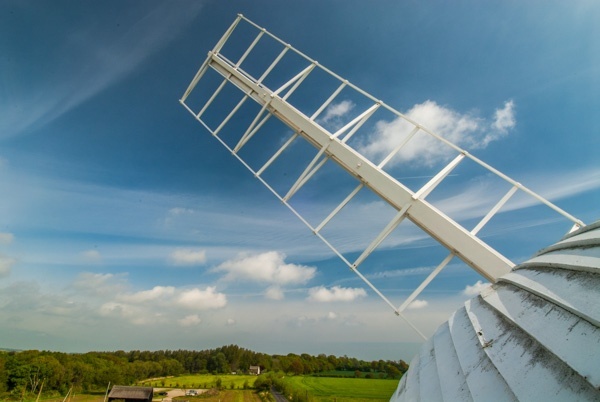 The windpump was built in 1912 to drain water of the surrounding land so that it could be used for farming. 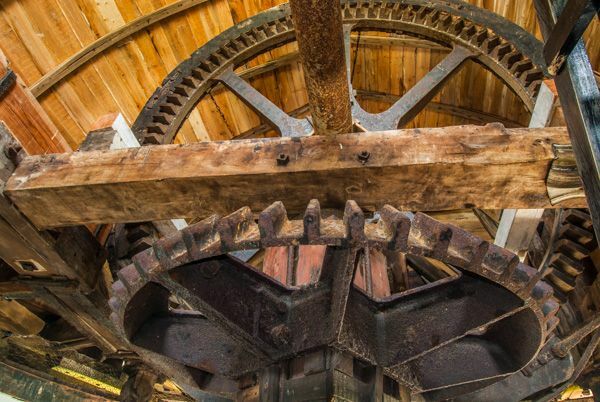 It was in operation until 1943 when it was damaged by lightning, and it was purchased by the National Trust in 1948. 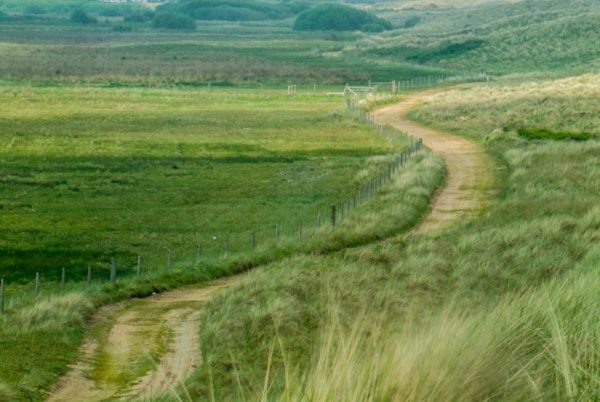 The Horsey area is a popular location for bird-watchers, with a population of breeding birds and winter migrants. 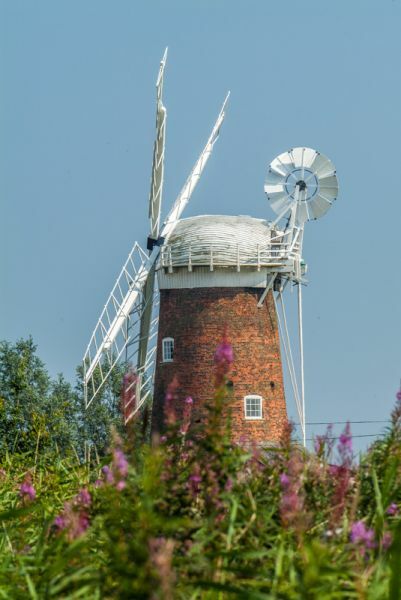 The National Trust has recently added a wildflower meadow and nature gardens to the facilities at Horsey Windpump. In the village itself is the beautiful Saxon church of All Saints, with a round tower thought to have been built in the 10th century.